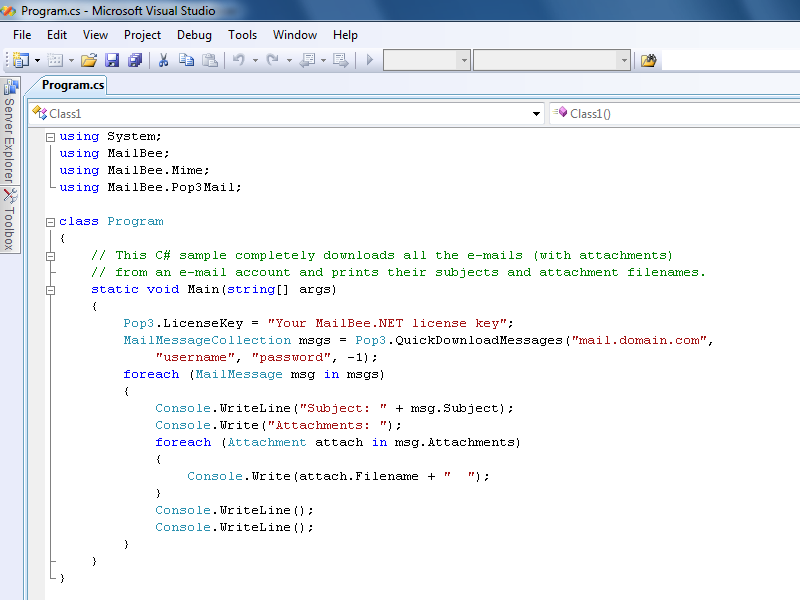 "Add sophisticated email functionality to your applications with MailBee.NET Objects." 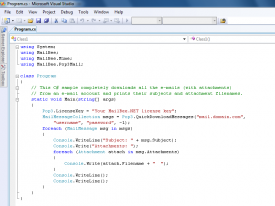 MailBee.NET Objects is a group of .NET components used to create, send, receive and process emails. Developers can use these components to add sophisticated email functionality to their applications easily. Mailbee.NET Objects is written in managed code that only requires the .NET framework to be installed on the computer. It can be used in any .NET language including C# and VB.NET with several supported .NET frameworks. With the MailBee.NET Objects bundle, you get licenses for all Mailbee.NET Objects components and you get BounceMail, HTML, MIME, and ICalVCard components for free, but this is only with the purchase of Mailbee.NET Objects; not the trial. There are several protocols, security tools, formats, servers and services that MailBee.NET Objects supports. To name a few, some of the most notable protocols are: POP3, IMAP, SMPT, HTTP, and SSL. Mailbee.NET Objects supports OAuth, OAuth2, and OpenID. It has format support for XML, HTML, vCard, iCal, PDF, and more with server and services support for MS Exchange, MDaemon, Qmail, and Gmail to name a few. It can support any POP3/SMPT/IMAP compliant servers not listed on the full list of Severs and Services on their website. The MailBee.NET Objects bundle includes SMTP, POP3, IMAP, Security, AntiSpam, Outlook, Address Validator, PDF components, BounceMail, HTML, MIME and ICalVCard components. MailBee.NET SMTP is a reliable solution to compose, merge, and send emails in .NET applications. Users can send web pages, send with or without the SMTP relay server and much more. The Mailbee.NET SMTP bundle includes a set of MIME objects that can be used for constructing email. Use MailBee.NET POP3 component allows developers to download mail from POP3 servers, parse it and prepare it to be displayed on a user’s desktop or web application. It supports POP3 Pipelining which will make email headers download more than ten times faster than they would without it. The POP3 bundle also includes a set of MIME objects for email parsing. With the AntiSpam component, MailBee.NET Objects can detect spam messages perform self-learning tasks with a very efficient and effective Bayesian filter. The AntiSpam component runs independent of any external resources. Teaching it what is and what is not spam, will allow it to recognize spam in future emails without you having to confirm. MailBee.NET’s industry best Security allows all of the MailBee.NET Objects to communicate securely with TLS/SSL enabled mail servers and use S/MIME for encrypting emails. MailBee.NET Security can be used in any .NET language. It fully supports SSL2, SSL3, and TLS protocols to communitcate securely with SMTP, POP3, and IMAP servers such as Gmail, and Hotmail (Outlook.com/ Windows Live Mail). S/MIME functionality includes, but is not limited to, signing, checking signatures, email encryption and decryption, and accessing and enumerating certificates. The PDF component of Mailbee.NET Objects allows for easy conversion of plain text and HTML documents into PDF format. HTML to PDF uses the iTextSharp open source library to produce PDF content. Source and target documents can be files, strings, or data streams. With the purchase of the MailBee.NET Objects bundle, you get all of these great components and more for 75% off of the price that you would pay for each component individually.